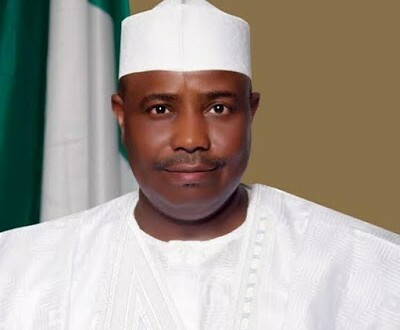 Sokoto State Government said it has discovered no fewer than 12,915 ghost workers whose names were added into the payroll of the 23 Local Governments Areas of the state. "The Ministry, through the Monitoring Department and other stakeholders has concluded a local government junior staff verification of about 58,143 workers, comprising of scheduled and unscheduled staff. "The verification exercise has yielded a fruitful result, whereby about 12, 915 staff,comprising of seat-at-home and ghost workers were fished out of the local governments staff payrolls. Dan-Iya further stated that the Ministry is planning to conduct a similar verification exercise of senior staff whose salaries are paid by the Ministry through their respective bank accounts. The Commissioner also vowed that, the Ministry and the Local Governments Service Commission were collaborating to sanitize the payrolls of the local governments. "Any official of the local governments or the ministry found to be wanting in this direction would be duly sanctioned. The ministry and the commission have beamed their searchlights on the various Departments of the 23 local governments, as well as the ministry, and anyone indicted would be sanctioned," he added. The Commissioner also said that issues that arose from the exercise mostly associated with ''human error'' were being addressed in collaboration with the stakeholders. Dan-Iya further explained that the ministry had successfully boosted the internally generated revenues of the local governments by engaging consultants.